Time will show the true extent of how much Mgła's Exercises in Futility is a milestone for black metal, not only by its own merit, but also by how it's currently paving the way for other like-minded bands to emerge and thrive. Cue in Portugal's Gaerea. By harnessing a straightforward approach to Mgla's droney-ambiance, Gaerea made a big impression on me with their self-titled EP from two years ago. It only missed my last year-end list on a technicality because I misread the release date. 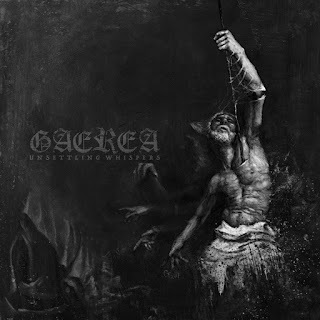 But this year may be the year I get to rectify that error because Gaerea's full-length debut, Unsettling Whispers, makes it rather clear that their previous EP was far from a fluke. With echoing guitar notes and vocal murmurs that do the album's title justice, "Svn" opens up Unsettling Whispers by steadily building tension and then unleashing that build-up in a flurry of guitar distortion, blasting drums, and equally menacing screams. Personal favorite track "Absent" continues this burst of sound by bringing it to new heights. Gruff screams are traded off with bellowing growls as the guitars also transition between higher-pitched riffs and thunderous rhythms. It's also immediately clear how well Gaerea's sound as a whole is mixed. Everything in the band's repertoire is on equal footing in terms of audibility. Perhaps it's ones preconceived notions of how black metal by definition has to be a cold and grating genre to listen to, but it's paradoxically more off-putting that all the elements play off of each other's intensity so seamlessly. That's not to Gaerea's detriment here, however, since the album's clarity allows sheer volume to be the primary driver of its intensity. The rest of Unsettling Whispers tends to follow a steadfast pattern stylistically. Tracks "Whispers," "Extension to Nothingness," and album bookend "Catharsis" all continuously build of a simple opening riff, making the whole tracks more groove-centric and, as a result, more hypnotic. Phaser effects are even utilized to accent some transitions. Look to "Lifeless Immortality" and "Cycle of Decay" for more dynamic flares in the drumming department. While these tracks all of have their own particular slants, they also still stay true to the overall ambiance being cast. It can't be stated enough how much the album as a whole is best experienced as such. Unsettling Whispers is a statement album for Gaerea. The band takes the cold, abrasive underpinnings of black metal to a grandiose dimension by incorporating the deafening and powerful elements of death metal. 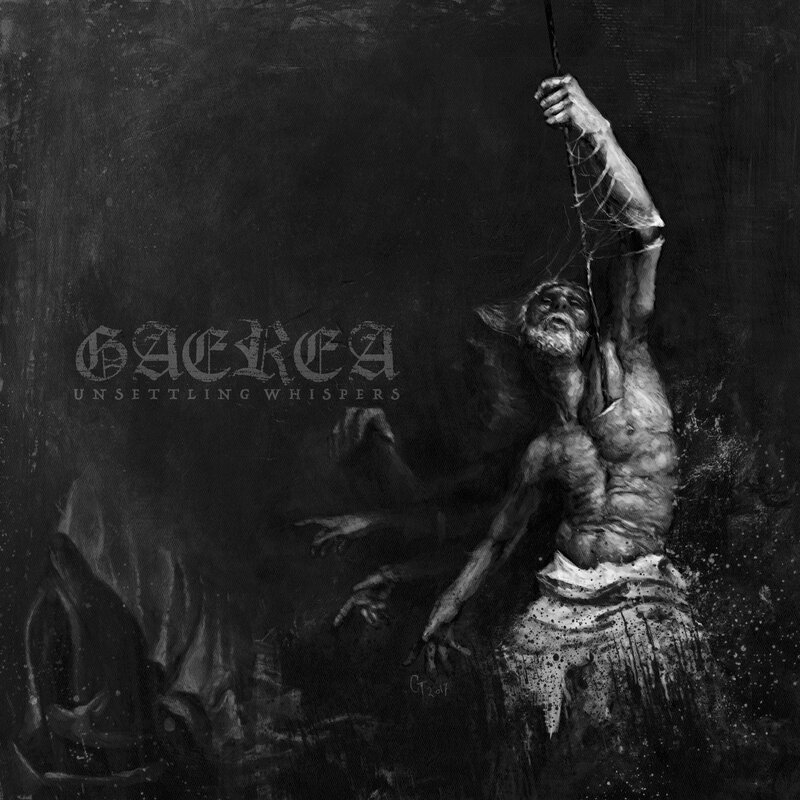 Mgła may be an extremely similar counterpart, but Gaerea has taken this death metal/drone hybrid of black metal and made it their own. It comes across more as deathened-black metal instead of the more commonly used vice-versa descriptor. The guitars, drums, and vocals all take equal turns in contributing to a swirling mix of distortion, ferocious blast drumming, deep guttural screams and growls, and ever-fervent upticks in volume and energy. It may not be gritty production-wise, but it packs a huge punch in every other area that counts. Don't be surprised if you see this on many a year-end list (hint-hint).